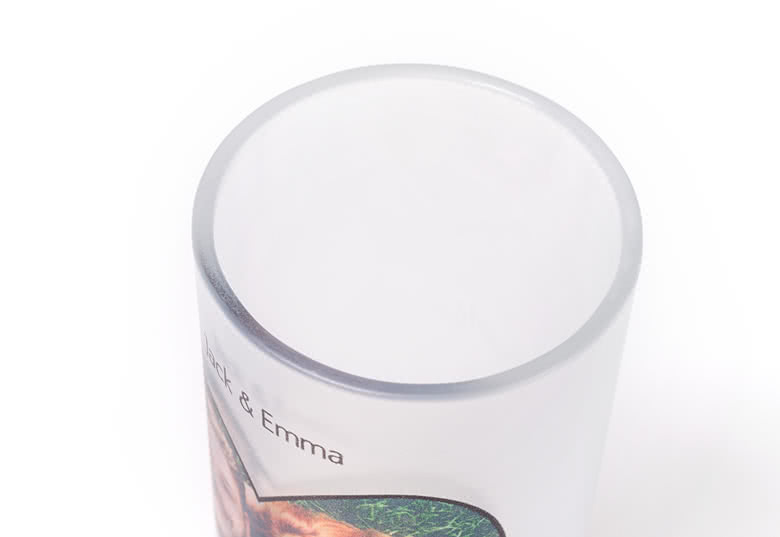 A bouquet of flowers, big or small, is always an amazing gift and with this personalised Frosted Glass Vase, the size of your bouquet won’t even matter. Be it a single rose or hand-picked flowers from your garden, they will bloom and blossom in this Frosted Glass Vase. A beautiful gift that is suited for any flower and any occasion! 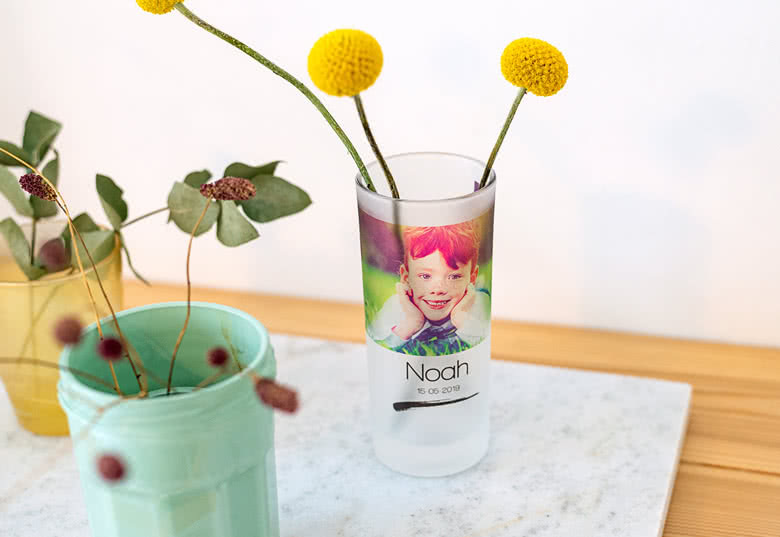 Bring home your favourite flowers and put them in a personalised Glass vase with your own photo printed on. 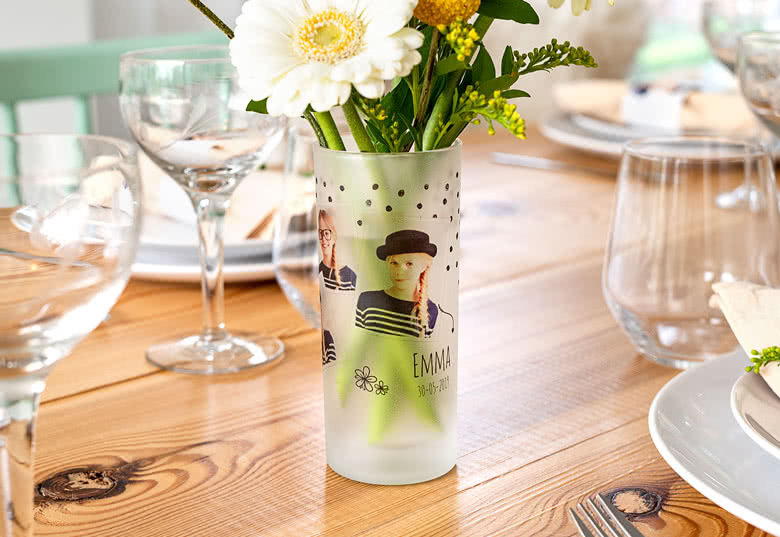 This small vase is made of frosted glass and you can choose among a number of different designs.